Repetition, Repetition, Repetition! The FAST TRACK to success. That quote is courtesy of the inspiring former baseball player who was nick-named “Mr. October” because of his talent for coming up with the “big” hit. Reggie Jackson was the athlete who could make the game deciding-hit for his team and repetition was his secret to success. We have an awesome little swimmer at SWIMkids USA and Desert Thunder Aquatics Swim Club who makes a difference for her team. Her name is Koryne and she has set 8 team records during her four years with SWIMkids USA! Koryne, age 6, goes to work out with her DTAC Swim Club 8 & Under swim team not just one time a week. She goes every Tuesday and Friday. Her coach, Justin Richardson will tell you that her best stroke is butterfly and her greatest accomplishment this year is “making it to the swim team at such a young age, and completing the 100 individual medley on her first try without disqualifying”. Coach Justin says is her secret to success is exactly the same as that of “Mr. October”. “It is her consistency in practice, a true passion for the water and her regular swim meet and practice attendance,” Richardson says. Koryne’s mom, Eunice agrees, repetition, repetition, repetition! “Koryne constantly pushes herself to do better, besides practices and meets, she takes it upon herself to practice at home almost daily,” Eunice says. Everyone who has had the pleasure of watching Koryne agrees, this young lady’s determination and love for the sport of swimming at such a young age is exceptional. 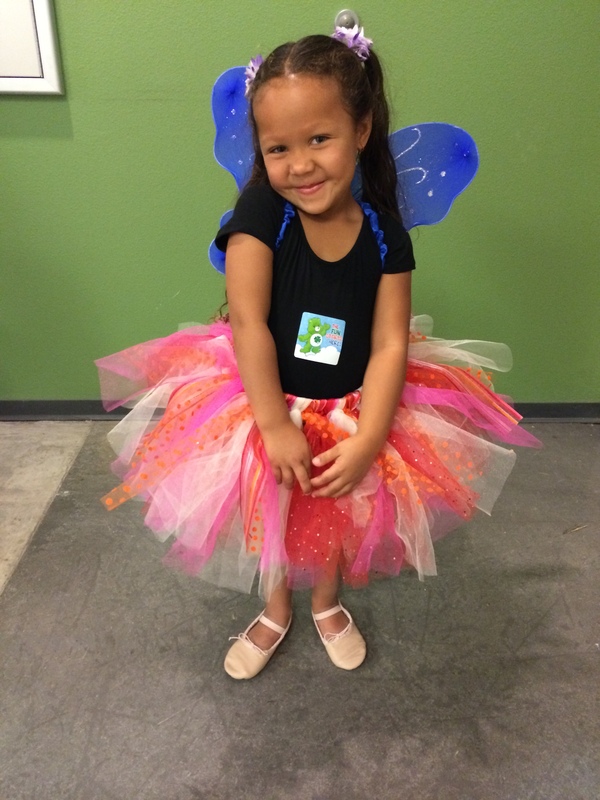 In her free time, Koryne studies ballet, gymnastics and plays soccer. 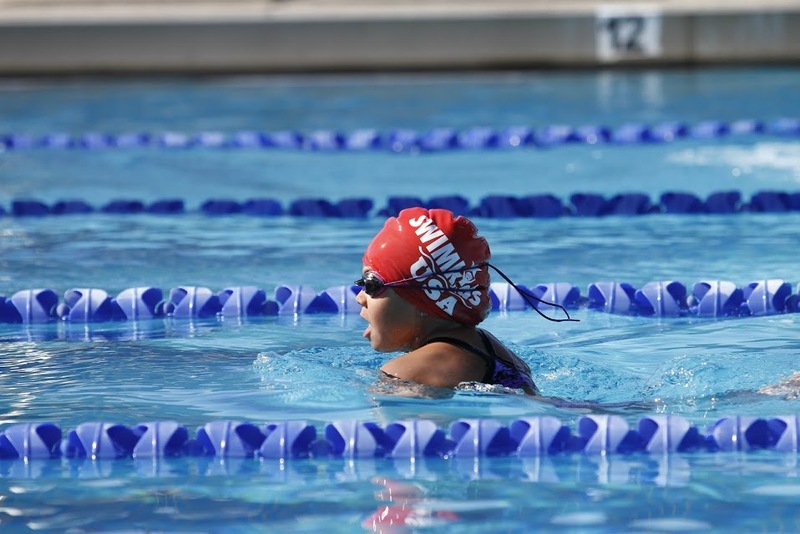 For athletes like Koryne, SWIMkids USA created .FAST TRACK It runs between Sept. and Feb.as a way for families to save money when they sign their child up for a second weekly activity. Keep swimming – for smarts! The year was 1971 and new mom Lana Whitehead took her baby son Lance in the water at the YMCA to be her student in a solo swim lesson. There was baby Lance, bonding with his mom and learning interesting movements designed to make him safer from drowning.. Soon the YMCA managers were asking Lana if other moms and babies could join her in more formal class. In a nutshell, that’s how SWIMkids USA started and fast-forward to today and baby Lance grew up to be smart! He does the accounting for his family business, which is the largest one location swim schools in AZ and one of the most highly respected swim schools in the USA. A few years ago, because it is so highly regarded in the swim industry, researchers turned to SWIMkids USA as one of the global sites to provide data on a very cool project about swimming and the connection to how it makes kids smart. It proves that children who were taught to swim by 5 years, had statistically higher IQs! “Some of what you learn in the classroom is similar to what you learn in a pool,” said lead study author Robyn Jorgensen, Ph.D., a professor and senior fellow at the Griffith Institute for Educational Research. “While we expected the children to show better physical development and perhaps be more confident through swimming, the results in literacy and numeracy really shocked us,” lead researcher Jorgensen said. Called the Early Years Swimming research project, it included data with 45-swim schools across the globe, including SWIMkids USA in Mesa. Researchers surveyed the parents of more than 7,000 children age 5 and under and found that the age kids learned to swim correlated with when they began accomplishing certain skills. Children taught to swim at an early age hit some physical and developmental milestones faster than those who learn later in life. It doesn’t take long to see the effects. When researchers observed swimming lessons, they found that the students’ eyes blinked in preparation for the ready cue — “one, two, three, go! ” — showing that young kids can understand language and react accordingly even if they can’t communicate everything clearly. From swim lessons to swim teams, the professionals at SWIMkids USA know how to help your child experience learning success. Also, if you don’t visit us all-year-round, you are missing another way Lance rocks your child’s world. No matter what the season, it is Lance who creates the ever-rotating and always beautiful welcome displays around the facility that reflects the business of the organization he helped create: SWIMkids USA -where children love to learn. Swim lessons save lives. Our parents have shared stories of seeing their child use a skill they learned in class to help themselves when they got in an uncertain situation in the water. We are thrilled to help parents in their effort to make their child safer around water! No matter how old your children are, you have the power to affect their development and even their success in life. By selecting activities for them that contribute to their emotional and physical development, you are helping them to achieve their dreams and assisting them with becoming self-confident and optimistic adults. The skin is the largest organ in the body. It is the boundary of self and contributes greatly to a sense of awareness. Touch from the parent provides the child with emotional nourishment, a feeling of attachment, commitment and connection. Swim class has abundant opportunities to share space with other children and to explore movement together. The child cooperates within a social structure to learn by observing and mimicking. 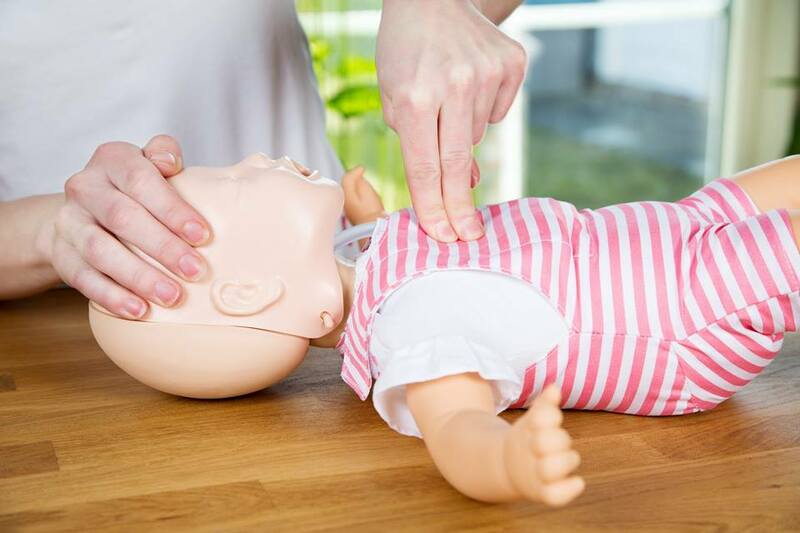 At SWIMkids USA, we love to help you with your child’s development and safety. We work every day to provide an environment where children love to learn, experience the joy of swimming, and where their success is inevitable! 2. Yang L. Nong ll, Li CL, Feng OM, Lo SK “Risk factors for childhood drowning in rural regions of a developing country: a case-control study.” Injury Prevention 2, 13(3): 178-182. 3. Field T., Scafidi F., Scanaberg S., “Message of Preterm Newborns to Improve Growth and Development.” Pediatric Nursing. ; 13: 385-387. 5. Connell G., Todd A., Reference Manuel for Early Childhood in Water. Auckland, New Zealand: Swimming New Zealand; 2007. 6. 15. Sigmundsson H., Hopkins B. “Baby Swimming Exploring the Effects of Early Intervention on Subsequent Motor Abilities.” Child: Care, Health and Development, Science Daily 210, 36 (3): 428 DOL:10.1111/j.1365-2214.2009.00990.x. May 7, 2010. 7. Field T., Scafidi F., Scanaberg S., “Message of Preterm Newborns to Improve Growth and Development.” Pediatric Nursing. 13: 385-387. There are many reasons to have your child participate in a swim meet, but we’ve managed to whittle down our list to an all-star top three. 1. Stress Management– Meeting new people, swimming in an unfamiliar pool and having a hectic schedule all contribute to your child’s stress levels. However, working with the swim team to compete in an encouraging environment will help your kiddo make it through, and learn how to manage stress at an early age. 2. Healthy Competition– Did you know that team activities and competition can boost performance and learning? Your child has the chance to make friends, exercise and compete- all wrapped up into one experience. And as much as we cringe to say it, everyone has to experience losing every now and again. (We can’t be perfect all the time!) Learning not to be a sore loser early benefits everyone. 3. Pride in Accomplishments– There’s nothing quite as satisfying as working hard and accomplishing a goal. Success at a swim meet means that your child did their best, and is able to enjoy the fruits of a win, whether personal or with the team. If you have any questions about SWIMteam USA or Desert Thunder Elite Aquatics Club, give us a call at (480)820-9109.